My Music: '60s Pop, Rock & Soul premiered December 2011. Jefferson Starship are among the performers in an evening of music from the 1960s. 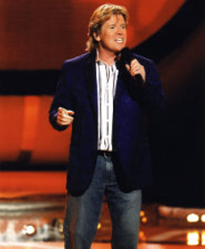 Co-host Peter Noone of Herman's HermitsTJL Productions Peter Noone gained international fame while still in his teens as the lead singer of the 1960s pop band Herman's Hermits. He studied voice and acting at St. Bede's College and the Manchester School of Music and was already a regular on the long-running British soap opera Coronation Street before joining the Heartbeats, as the band was first known. By 1964, the band had adopted the name Herman's Hermits and released their debut single, "I'm Into Something Good," which topped the charts in the United Kingdom and hit #13 in the United States. They sold more than 50 million records, with seven albums going gold and multiple top ten singles. After leaving the group in 1971, Noone released a few singles and an album, "One of the Glory Boys," as a solo artist as well as a record fronting a new band, The Tremblers. He also appeared in TV and stage productions, including his critically acclaimed role as Frederic in "The Pirates of Penzance," on Broadway and London's West End. Peter Noone currently tours with a re-formed version of Herman's Hermits. 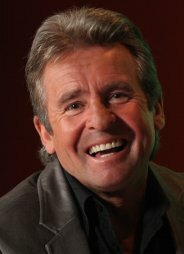 Davy Jones was a veteran of British TV and stage, having appeared on Coronation Street, like Peter Noone, and in the West End production of "Oliver!," before he became the lead singer of The Monkees. A band originally created for an American TV series of the same name, The Monkees gained legions of fans after the 1966 premiere of the series and the release of their first single, "Last Train to Clarksville." The Monkees released six albums with the original quartet — Micky Dolenz, Davy Jones, Michael Nesmith and Peter Tork — that produced such chart-topping hits as "I'm a Believer," "Daydream Believer" and "Pleasant Valley Sunday." The popular TV series only lasted two seasons, but lived on in reruns that continued to garner new fans. With the dissolution of the band by 1971, Davy Jones performed as a solo artist; guest starred on TV shows, most notably as Marcia Brady's dream prom date in an episode of The Brady Bunch; and appeared in several theater productions. Jones continues to tour and in 2009, he released "She," a record of standards from the 1940s through the 1970s. My Music: '60s Pop, Rock & Soul was produced by TJL Music Productions. © TJL Music Productions. All Rights Reserved. Photos courtesy of TJL Music Productions.